Welcome to the custom art page! I am excited to create a piece celebrating what you love. I am currently taking custom orders in Mixed Media/Resin work only. Custom work is priced by linear inch. Sizes I consistently offer range from 1’ x 1’ up to 4’ x 4’. For inquiry on sizes larger than 4’ x 4’, email lisa@draperfineart.com. Because I often build the surfaces and frames I use, artwork can be ordered to the 1/2” so it fits your space just right! 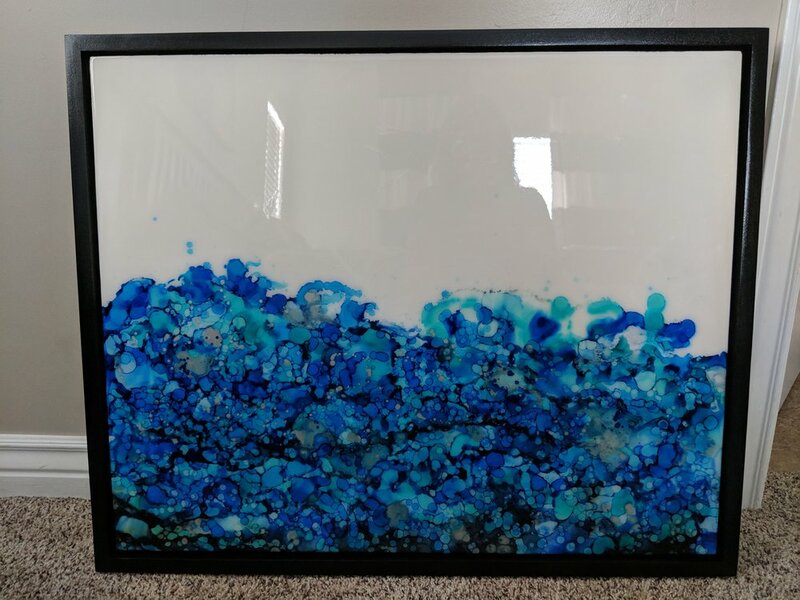 $16/Linear inch for abstract resin on board, framed in custom float frame. 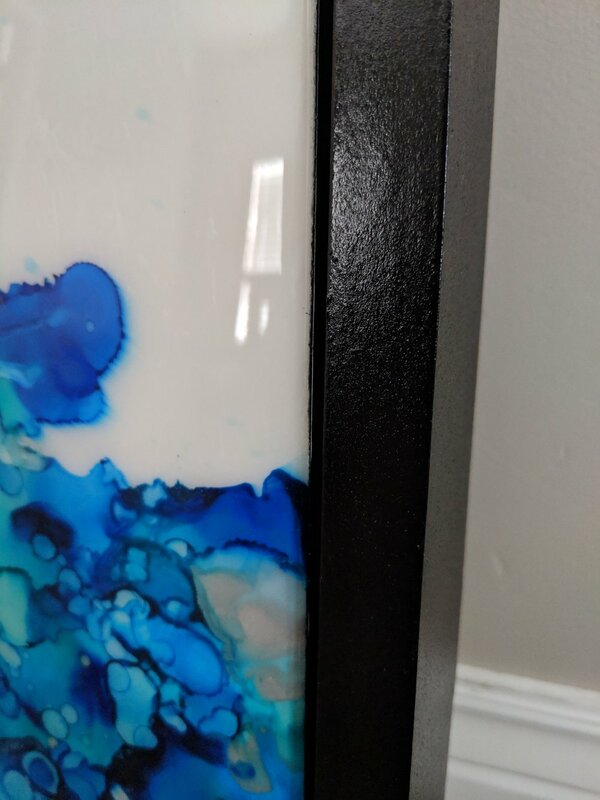 $18/Linear inch for resin on board with added form (metal leafing, painted layer, etc), framed in custom float frame. 1. Contact me with what you'd like done, and a photo of the space you'd like it to hang, if applicable. Further details may be discussed over email, over the phone, or in person. These will include size, desired colors, frame color, etc. 2. After details are finalized, 50% of the total cost is due, payable with Credit Card, Cash, or Venmo. 3. I will give you an estimate of 2-10 weeks, depending on medium, level of detail, and wait list. 4. I will send you a photo when finished. At this time, the remaining 50% is due. Shipping is NOT INCLUDED and will be quoted for you. For general shipping info, refer to the Shipping and Returns link at the bottom of the page. Local deliveries (within an hour of Lehi, Utah) are free of charge, as is on-site pick-up. Have an idea for a piece? I'd love to bring it to life!